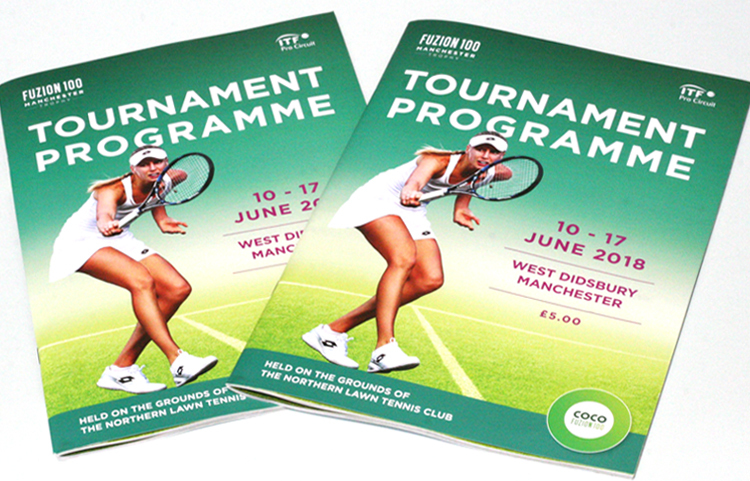 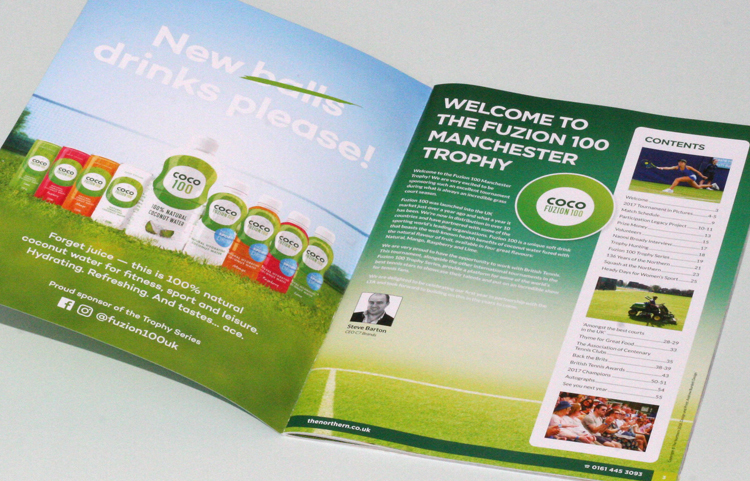 Every June the Northern Lawn Tennis Clubs plays host to the famous Manchester Trophy Tennis Tournament, and this year we were asked to design and print the programme for this prestigious event. 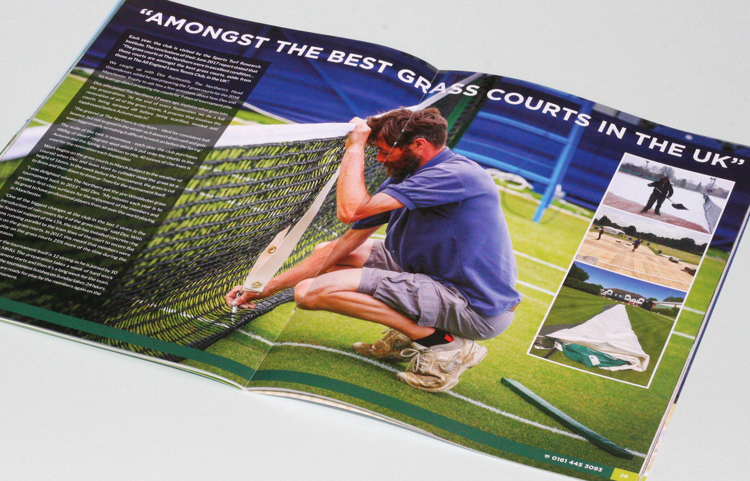 Part of the Fuzion 100 series, this is one of the grass court tennis tournament that lead up to Wimbledon. 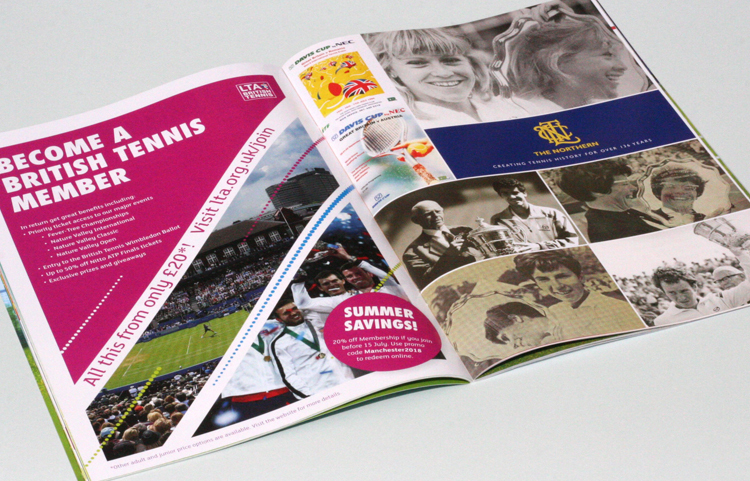 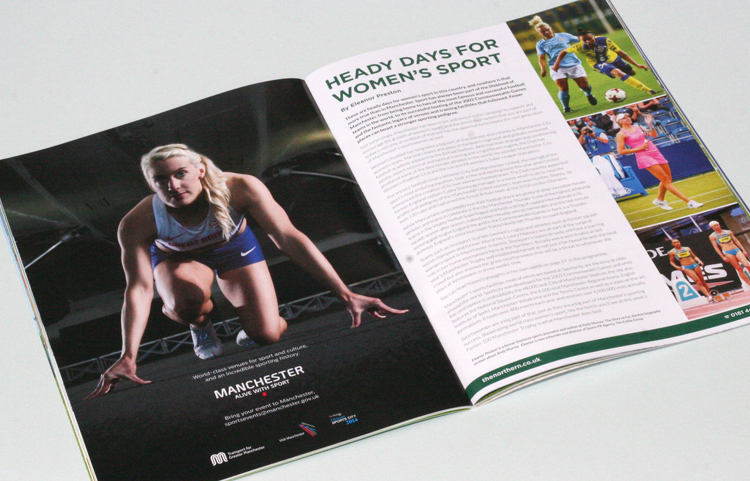 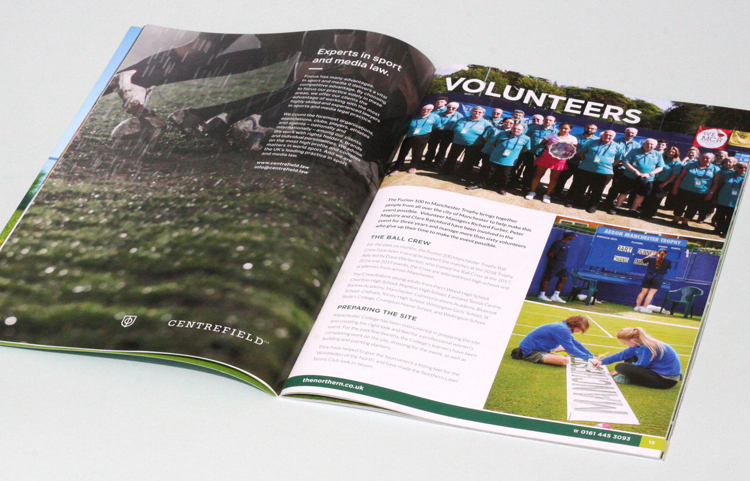 Utilising the branding established by the Lawn Tennis Association (LTA), we created this 56 page A4 programme from the copy, imagery and adverts supplied by the Northern.